Branak Galendil is a half-elf/dwarf who has for many decades led one of the most famous thieves’ guilds of the region. Branak has always been sneaky and shady, but thanks to his leadership he managed to unify several local crooks in order to create the Night Raptors Guild and proclaimed himself King of Thieves. Branak was unscrupulous and didn’t hesitate to commit the worst atrocities to reach his goals. His men weren’t worth much better, so the guild very quickly supplemented its riches and no one dared to offer the slightest resistance in opposition. The Night Raptors were glorious for many years. They committed their crimes with impunity throughout the region, always getting richer in the process. Their powers seemed limitless, but a new ruthless competition appeared and changed the situation. The Order of the Black Hoods is an organization controlled by magicians attracted by power and wealth. They used and abused the powers of magical items to commit every kind of larceny and crime. Given their methods they used, they were formidable and effective and only the Night Raptor obstructed their supremacy. The nascent rivalry between the Night Raptors Guild and the Order of the Black Hood had caught the interest of many and the Order rallied ever more of King Branak’s enemies to his cause, and once they had the Black Hood finally launched a last assault to annihilate their weakened enemy. The entrance to the Night Raptors fortress is a crack in a cliff on the shore of the mysterious Sakoach Lake. The Black Hood’s fighters disembarked by the dozen onto the small wooden pontoon and invaded the small gallery leading to the dungeon. 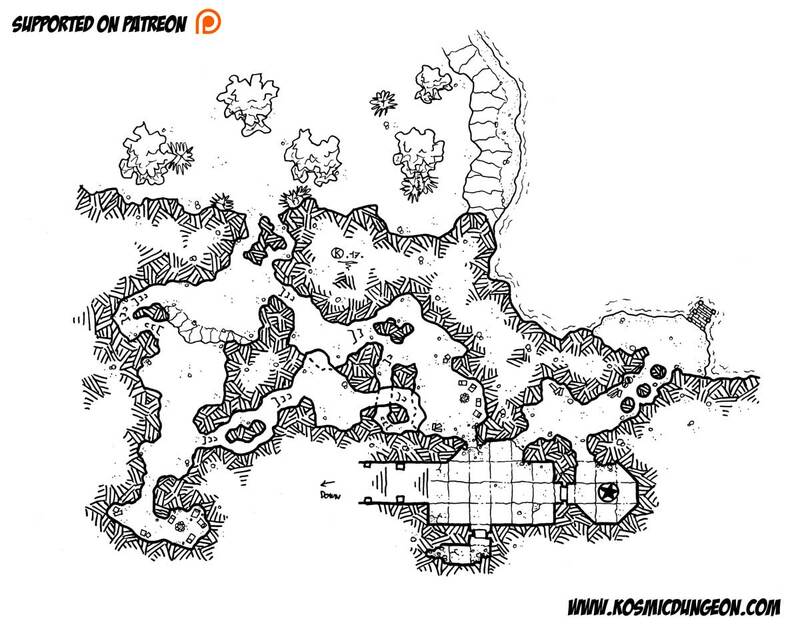 Branak had built a real underground fortress, equipped with several devious traps concealed in the corridors and extremely well placed shooting stations. These strategic points of defence should have ensured the protection of his throne room. But the fighting was bloody, and being outnumbered by their assailants, the king and his personal guard were quickly trapped. As he felt the end approaching, Branak decided to resort to the power of the Zophos in spite of the danger that this represented. This very ancient relic is a sceptre that has the power to banish the living into darkness. But using this power requires a sacrifice, those that use the sceptre have their body turned to stone. All the members of the Order were cursed, transformed into ethereal creatures forced to think on their error in attacking for all eternity, and King Branak was transformed into a statue, seated on his throne proudly brandishing the Zophos. Many years have passed and the dungeon has seriously deteriorated over time, some corridors have collapsed and walls are starting to crumble. 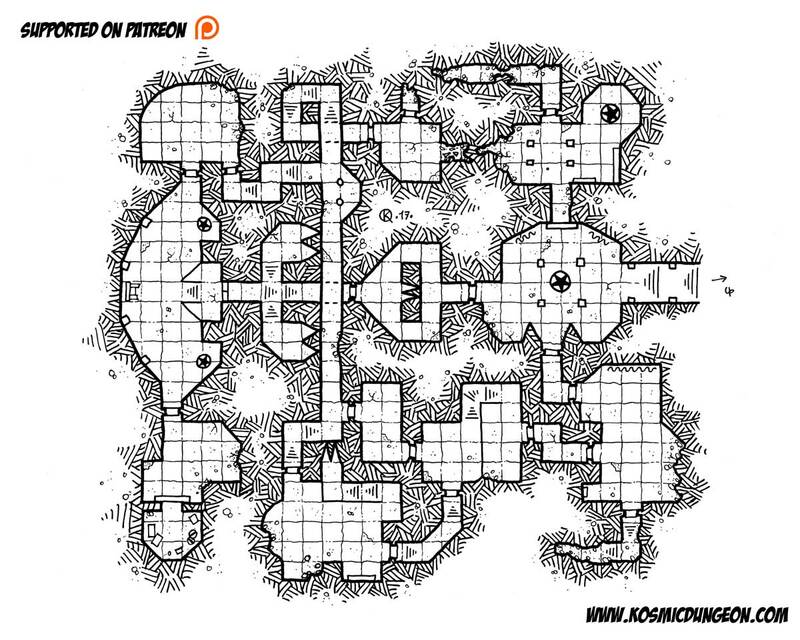 Recently goblins have constructed in a small network of nearby caves, and dug a secondary access into the ancient fortress of the Night Raptors. These small scavengers have set up a camp and have already begun to loot the place of all the wealth still present. The chief of a small village has asked you some help to exterminate the goblins, which are growing too numerous on the shores of Sakoach Lake. But your patron has forgotten to tell you that the spectres and spirits of the Order are always present and haunt the corridors of the underground fortress in search of poor souls to torture.